Stiftung Lesen’s Reading Clubs aim to support reading motivation and competence as well as social skills. The 400 Reading Clubs are based in schools, libraries, youth centres and other educational institutions all over Germany. 275 Leseclubs are currently funded by the German Federal Ministry of Education and Research as part of the program “Kultur macht stark. Bündnisse für Bildung”. 10.000 children between the ages of 6 to 12 are already regularly attending their Reading Club where leisure oriented and creative activities are conducted weekly by 1000 volunteers. Reading Clubs particularly address children lacking in reading skills and those with a strong need to support their educational progress because their families live in financially difficult conditions or they have migrated to Germany recently. 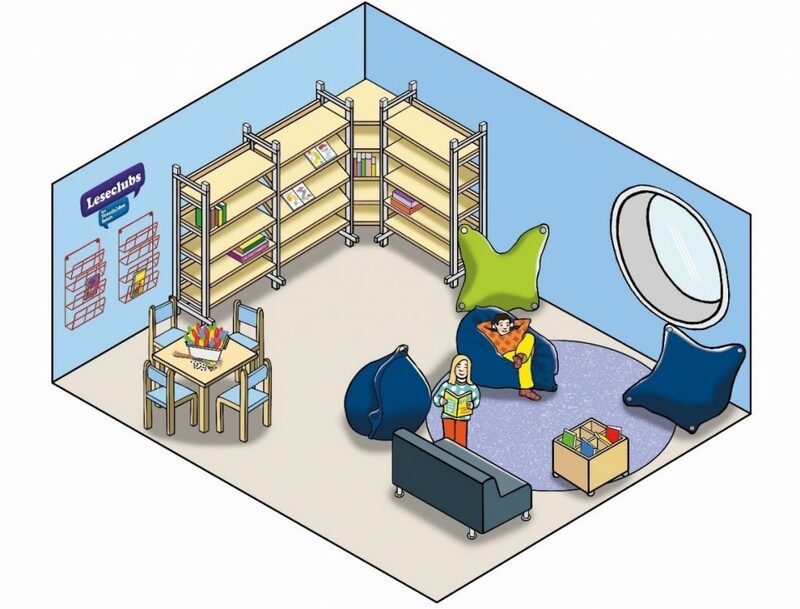 Stiftung Lesen provides its Reading Clubs with a broad range of selected media: Every Leseclub is well-stocked with the latest, most popular books for children. It also has magazines, audio books as well as digital media on its shelves. Furthermore, basic furniture that creates a comfortable reading room is being provided. For trainings addressing different topics of reading promotion, the carers of the Reading Clubs gather twice a year. Beyond that, Stiftung Lesen offers regular webinars and various pedagogic publications.